Feature your favorite aircraft! 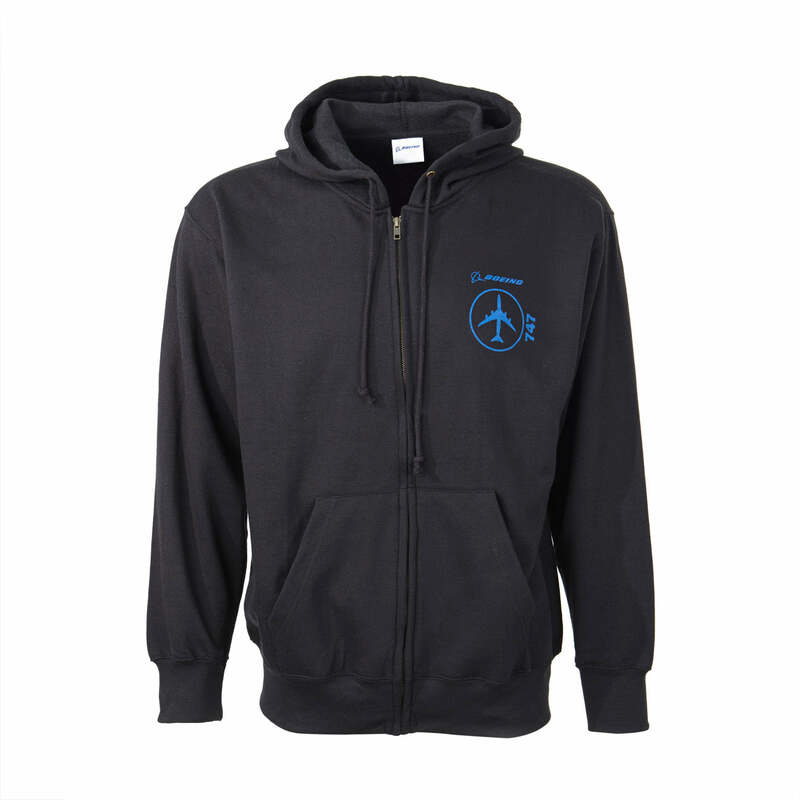 As you travel, exercise, or run errands -- celebrate your Boeing pride in this stylish and versatile full-zip hoodie. The silhouette of your craft of choice is screen-printed in a circle on the left chest, along with the name of the craft, plus the signature Boeing logo. It’s styled with 55% cotton/45% polyester; a drawstring hood; and two exterior open side-entry pockets. Color(s) available at the Boeing Store: Black hoodie/Royal blue screen print, 737, 747, 777, and 787; Charcoal hoodie/Black screen print, F-15, F/A-18, H-47, and V-22; Red hoodie/Black screen print, AH-64. Imported.